The SQA Advanced Diploma in Electronic Engineering provides learners with a progression route into employment. It also provides opportunities for further study, including university degree programmes. The SQA Advanced Diploma in Electronic Engineering (SCQF level 8) develops practical engineering skills and provides theoretical knowledge of the principles of analogue and digital electronics. It covers all the fundamental aspects of electronic engineering, including testing, fault-finding, construction, and solving electronics problems. The SQA Advanced Diploma in Electronic Engineering is available through a growing number of colleges and universities around the world. The SQA Advanced Diploma in Electronic Engineering can provide advanced entry to degree-level study or a masters degree programme. For further information please refer to the SQA university agreements. The SQA Advanced Diploma in Electronic Engineering is designed to lead to employment as an electronic development engineer, test technician, installation and/or maintenance engineer or similar position in a related industry. 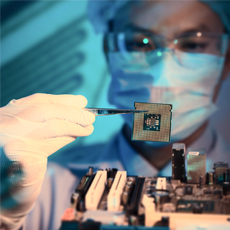 The SQA Advanced Diploma in Electronic Engineering at SCQF level 8 consists of 28 units.